A critical analysis essay is a type of writing wherein you are required to critically analyze and evaluate a certain literature done by another author or artist. It can either be a painting, an essay, a movie, or a book. It requires both critical reading and critical writing capabilities, and your goal is to grasp an idea of the work of art, present it to the readers, and have a better understanding of it. So, for you to better get the details, read the steps below on how to write a critical analysis essay. If your professor did not assign you a specific piece of literature to analyze, then you must select your own. You can choose a book by your favorite author, or anything that captivates your interest. The approach of your essay plays an important role in how it will appear to your readers, so you have to choose the right approach. You can either make a stand on the theme of the work, or focus on how the characters affected the plot. You have to decide on how you are going to catch your readers’ interest before starting to write. In making your thesis statement, make sure that you can prove it with factual information to support your main idea. It should then be stated in your introduction. 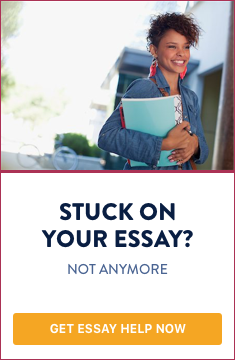 Usually, your professor will require you to come up with at least three major points that you will expand in the body of your essay to support your argument. So to have a logical order, outline the concept of your essay. Do a research about your topic. You can look for biographies, historical facts, and other forms of literature, or writings relevant to your topic that will also support your arguments. It can either be by the same author or different, depending on your chosen approach, and as long as it will support your thesis. Gather all the information you have researched and put it in the body of your essay. Use the facts you have researched to support your arguments. Pay attention to the transition of your paragraphs and don’t forget to cite your sources according to the format required by your professor. The MLA and APA styles are the most common. Restate the thesis statement in your conclusion and add some insights. Your conclusion must be a brief summary of your points. Just because it is called a critical analysis essay, doesn’t necessarily mean that you have to find the flaws and faults of the author or the artist. What you need to do is to elaborate the aspects of a certain piece of work. And in presenting your idea, avoid using the phrases “in my opinion” or “I think”. Remember that your focus is to analyze the subject and don’t forget to recognize the work by mentioning the title and the author. So, just simply follow the above-mentioned steps on how to write a critical analysis essay and you will be all set.